Campanula or Bellflower is a delightfully attractive plant known for its colorful, bell-shaped flowers. This versatile genus comprises of a large number of annual and perennial herbaceous plants. Flowers range from many shades of purple and blue to white and pink. Excellent for flower beds, mixed borders and rockeries, Bellflower are quite easy to grow as houseplants. The Latin name ‘Campanula’ is translated as ‘Little Bell’ because of the bell-shaped flowers. 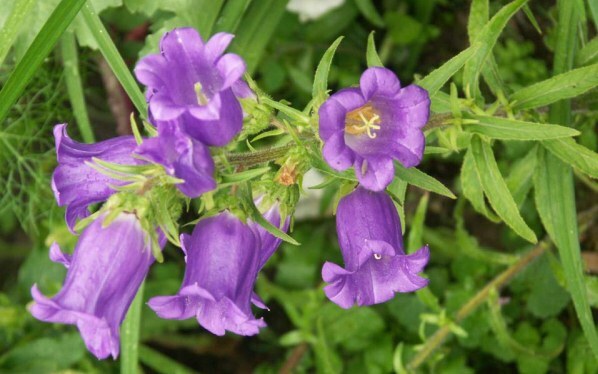 Bellflower is fairly easy to grow plant at sunny as well as shady spots in a well drained soil. Water Bellflower plants moderately and fertilize in summer. Cultivation is easy from seeds. Campanula Carpatica, also known as Tussock Bellflower, bears lilac-blue flowers in spring. This perennial species grows in clumps. Campanula Glomerata is erect perennial plant that grows in dense clusters and bears blue or white flowers in summer. Common name is Clustered Bellflower. Campanula Trachelium, usually called Nettle-leaved Bellflower, produces blue-purple, bell-shaped flowers in summer. 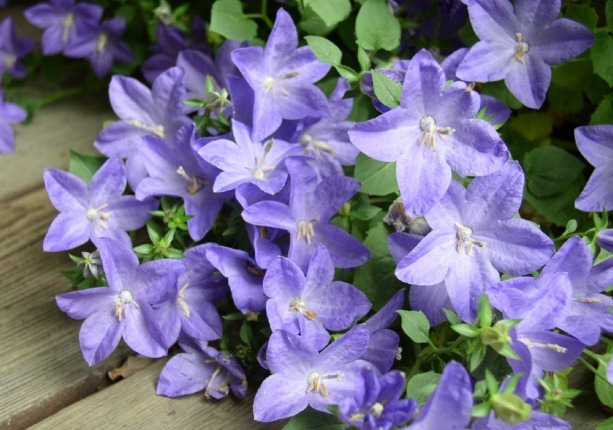 Other popular varieties include: Campanula lactiflora ‘Dwarf Pink’, Campanula x ‘Kent Belle’, Campanula ‘La Belle’, Campanula rotundifolia ‘Olympica’, and Campanula ‘Samantha’.